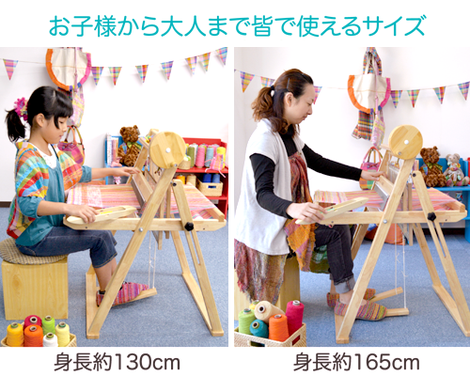 Hiyoko series : Handy Fold-able Wooden Loom, Everyone from Kids to Adults can weave! Glue laminated timber of rubber tree. It is smooth to touch and attractive in appearance. The winder, bobbins, boat shuttle, reed hook and heddle hook are not included. 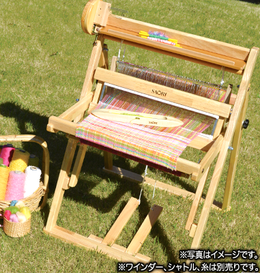 SAORI Hiyoko is a small and handy fold-able loom, so it is good for your second loom. 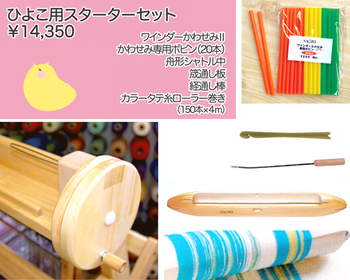 If the Hiyoko is your first loom, Hiyoko starter Set is needed. 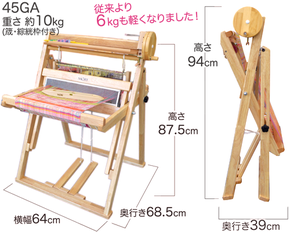 For warping, the warping frame "Hototogisu" is available.